Dr. Juan de Dios Pineda is a research professor at the Institute for Public Evaluation and Applied Research (IPEAR), Affiliated Faculty at the School of Public Administration, Director of the Center for Public Leadership and Founder Director at the Center in Water Governance Studies in the University of New Mexico. Dr. Pineda was bestowed Doctor Honoris Causa (Honorary Doctorate Degree) for Tianjin Foreign Studies University, China, on December 2015 for his contributions and leadership in the area of public policy and international education. 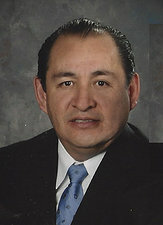 In 2014, The University of Santander in Mexico conferred to Dr. Pineda the title of Doctor Honoris Causa for his research in the area of Higher Education. In 2012, Dr. Pineda was appointed as a member of Academic Committee of China Ministry of Education's Regional and National Research-Latin American Research Center. Dr. Pineda has an Executive Education Certificate on Leadership from Harvard University, Kennedy School of Government. He is a visiting professor at the University of Tianjin, University of Binhai, and the University of Puebla in Mexico.